West Elm deserves an award for being the most generous in the new year: It’s currently offering up to 60 percent off markdowns. Whether your New Year’s resolution is to take the plunge on a big-ticket item or add the finishing touches to your humble abode, this sale has it all. The retailer is sweetening the deal with free shipping—just use the code BEST at checkout. These deeper discounts are only available for a limited time, so who’s up for a little online shopping during their lunch break? 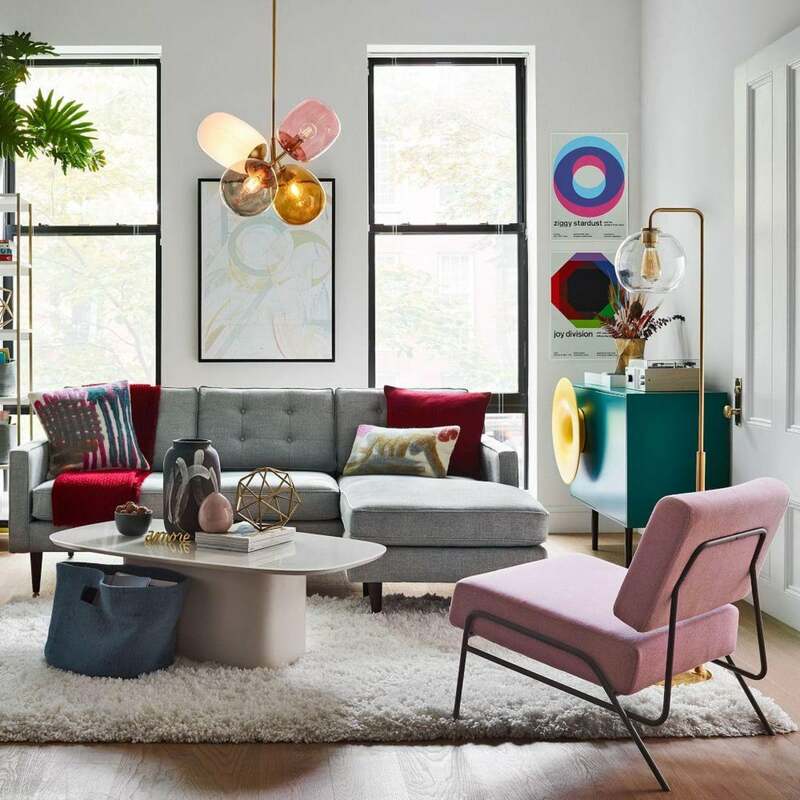 From smaller purchases like bedding and accessories to big-ticket items like sofas and coffee tables, you’re sure to find a new piece to cure those post-holiday blues. Here are 10 of our favorite finds that are sure to sell out soon. A simple and cozy way to incorporate Pantone’s color of the year. An added plus: The materials are sustainably sourced. This chair makes the perfect standout piece for your living room or office. Add some dimension to your space in a subtle way. There’s not much that can top getting a new couch, but finding one in plush velvet made from eco-friendly materials makes the purchase just that much more satisfying. This tiered bookshelf has a Ph.D. in phenomenal contrast. This living room piece is a coffee table and a sophisticated sculpture all in one. The geometric design on this handcrafted table brings the perfect amount of drama. Shag Pillow Cover – 20″Sq. Anyone else just want to sink their face into this pillow? You can never have too many throws. No, really. Just what the minimalist ordered. Marble cutting boards are so 2018—try a cool black wooden one instead.